Thank you for your interest in Masters of Harmonica. 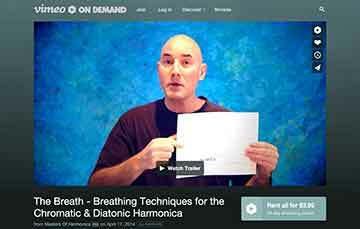 We are offering video tutorials for playing a Chromatic Harmonica. Our goal is to provide quality video tutorials at a reasonable price all from the comforts of your home.